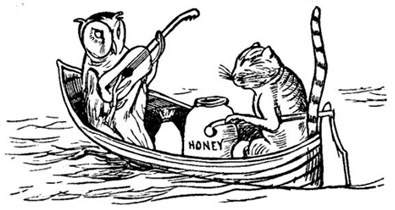 Edward Lear was born in Holloway, near London, on 12 May 1812. 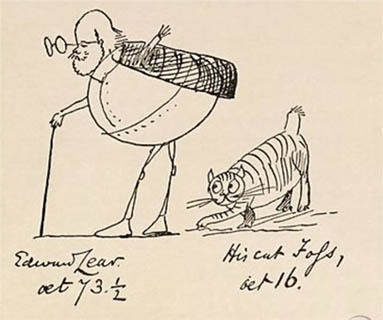 During his lifetime, Lear was primarily known as a traveller & illustrator, even though today his literary celebrity rests on his invention of nonsense verse & well-known poems such as ‘The Owl & Pussycat’ (1867). Lear first met the Tennysons in 1851 through their mutual friend Franklin Lushington & gave them a copy of his Journal of a Landscape Painter in Greece & Albania (1851) as a belated wedding present. Tennyson so admired the work that he wrote a poem entitled ‘To E.L. on his Travels in Greece’. Masada on the Dead Sea by Edward Lear (1858). This small photograph of Edward Lear is an example of a carte-de-visite, used in the Victorian period as a means of making a formal introduction. Lear often embellished his correspondence with doodles & sketches. In this letter to Tennyson, he asks the Laureate for his autograph; the two self-portraits depict him responding joyfully to a positive response & despairingly to a negative one. Lear became a friend of the couple & a frequent guest at Farringford, growing particularly close to Emily & becoming one of her lifelong correspondents. In 1855, during one of his visits to Farringford, Lear composed & sang musical settings to Tennyson’s poems, including ‘Mariana’ & ‘The Lotus-Eaters’. 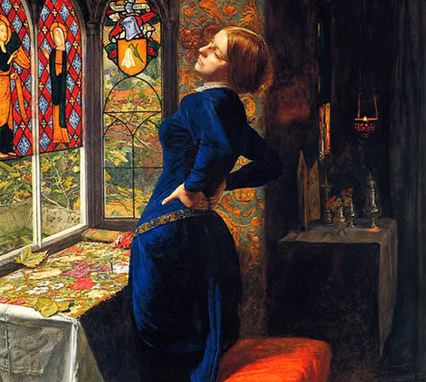 Artist John Millais was also inspired by Tennyson poems & painted Mariana. By the 1870s, Lear decided to live abroad & settled in San Remo, Italy, in a house he called Villa Tennyson where he lived with his cat, Foss. While in San Remo, Lear created illustrations for Tennyson’s poems, & thirty-six of these illustrations were published in special edition of Tennyson’s poems in 1889, the year after Lear’s death. Lear produced this watercolour study to accompany Tennyson’s poem, Enoch Arden.